Yerba Mate La Selva Tradicional is obtained through a careful selection process, drying, processing and packaging, to achieve the unique flavor of the traditional Uruguayan mate in a product of unsurpassed quality. 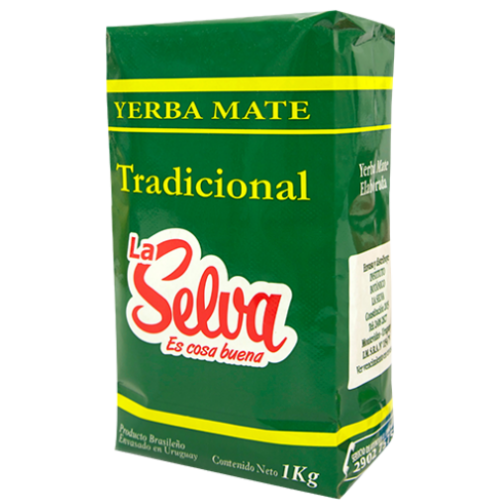 La Selva is a typical Uruguayan pure leaf yerba mate, produced in Brasil for the Uruguayan market. The blend is fine cut leaves with plenty of good polvo (powder). This style gives it a traditional strong flavour. Use a Brasilian / Uruguayan style bombilla. (Spoon shape with smaller holes). See related products below.